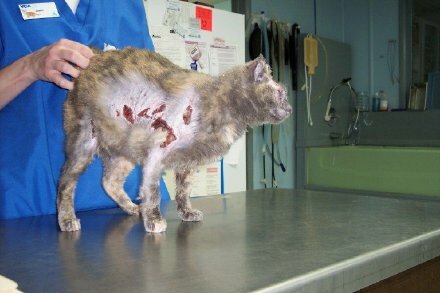 I was just alerted to a kitty named "Paimae", that is in dire need of donations to fund her medical care. She was severely burned in a fire and his owner decided "to get rid of her". 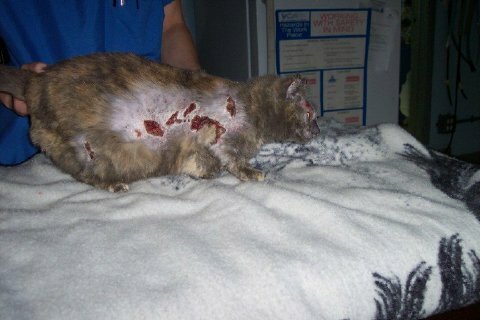 She is currently residing at Vetco Animal Hospital where she is receiving veterinary care for her burns. So far her total bill is $1,300.00. If anyone is able to donate funds towards her full recovery, it would be greatly appreciated by both "Paimae" and the veterinary staff at Vetco. The contact information for the hospital is below, if anyone is able to send donations, you can send them directly to the hospital in care of Audra Sharp. Thank you so much for helping "Piemae" recover!